Sharpe, having just received his commission, faces his toughest battle yet in this return to India, the terrain of the bestselling Sharpe's Tiger. Repackaged in the fantastic new Sharpe look. 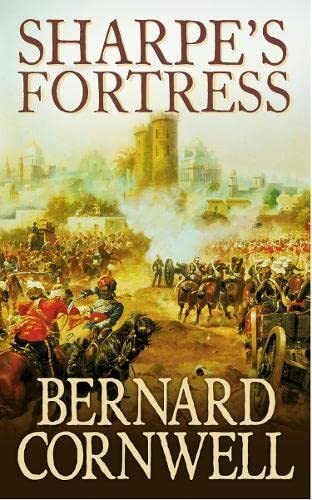 Sharpe, having just received his commission, faces his toughest battle yet in this return to India, the terrain of the bestselling Sharpe's Tiger. Repackaged in the fantastic new Sharpe look. Sir Arthur Wellesley's army is closing on the retreating Mahrattas in western India. Marching with the British is Ensign Richard Sharpe, newly made an officer, wishing he had stayed a sergeant. An act of treachery by Sharpe's old enemy, Sergeant Hakeswill puts him in terrible danger, and leads him to the horror of the impregnable Gawilghur's ravine. To regain his confidence and his authority, Sharpe will fight as he has never fought before. Soldier, hero, rogue - Sharpe is the man you always want on your side. Born in poverty, he joined the army to escape jail and climbed the ranks by sheer brutal courage. He knows no other family than the regiment of the 95th Rifles whose green jacket he proudly wears.